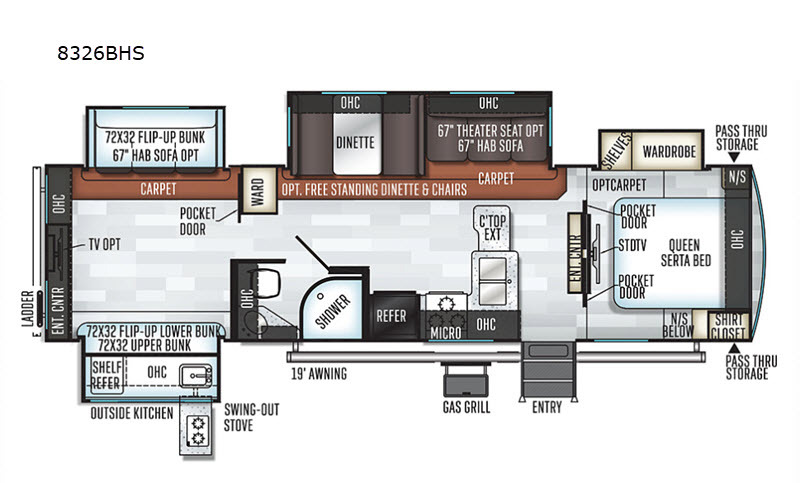 Plan to do a whole lot of relaxing with your family of ten when you have this travel trailer in tow! With four slide outs there is plenty of room for your whole family to spread out and enjoy their time away from home. In the rear bunkhouse you will find dual opposing slide outs with a total of three bunk beds. Along the rear wall you can even add an optional TV. 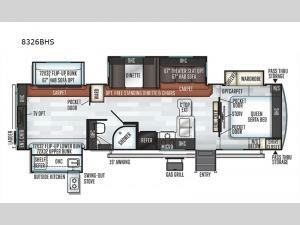 In the combined kitchen and living area you will find a 67" hide-a-bed sofa and a dinette which both easily convert into additional sleeping space, if needed. Plan to spend more time outdoors with your family since this model has an outside kitchen that features a two burner swing-out stove, a sink, and a refrigerator!